Eat less and be happy: Is it possible? Small, uncertain incentives stimulate the same reward center of the brain as food, new brain-imaging research reveals. In a new article, the authors offer food for thought on why we overeat and how we can be just as happy not doing it. Try this on for size: The Happy Meal could be the answer to our nation’s obesity epidemic. 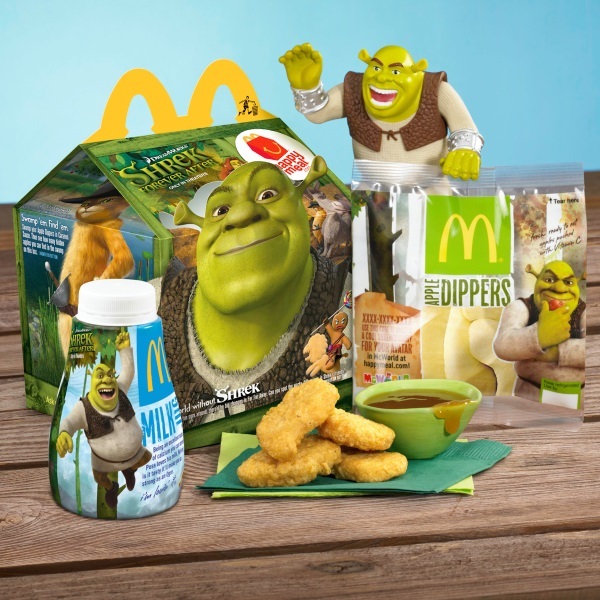 Not the actual contents of a McDonald’s kid’s meal, but the concept of it. Researchers from the University of Arizona’s Eller College of Management as well as the University of Southern California’s Marshall School of Business and Dornsife College of Letters, Arts and Sciences have found that offering a small incentive with a meal consistently motivates kids and adults to choose smaller portions. According to functional magnetic resonance imaging (fMRI) studies, the brain responds to a small toy, gift card, or lottery ticket in the same way it does to a mouthwatering burger or cheese-slathered pizza. Martin Reimann, assistant professor of marketing at the Eller College of Management at the University of Arizona, Deborah MacInnis, and Ramona I. Hilliard Professor of Business Administration and professor of marketing at USC Marshall; Antoine Bechara, professor of psychology at USC Dornsife, published their paper — the culmination of Reimann’s doctoral research in psychology at USC –in the Journal of the Association for Consumer Research. In “Can Smaller Meals Make You Happy? Behavioral, Neurophysiological and Psychological Insights Into Motivating Smaller Portion Choice,” the authors offer food for thought on why we overeat and how we can be just as happy not doing it. In a series of experiments, the researchers found that the majority of children and adults chose a half-sized portion paired with a toy or monetary prize over a full-sized portion without a toy or monetary prize. The price of the two options was kept the same. Great, right? But it gets better. Not only can a small prize motivate the healthier meal choice, but, in fact, the mere prospect of getting it is more motivating than the prize itself. In other words, the researchers found that people were more likely to choose a smaller meal for the chance to win a $10 lottery than to get a guaranteed reward. The premiums in the study were the chance to win $10, $50 or $100. While participants identified their choices with various foods and incentives, researchers collected neuroimaging data with fMRIs. The results showed that the combination of half-sized portion and nonfood premium activates similar areas of the brain (specifically, the striatum which is associated with reward, desire and motivation) as the full-sized portion alone. What’s more, people were strongly motivated to choose half a burger or pizza even if they were hungry. And they didn’t compensate by eating more calories later. Desirability of the prize also impacts motivation, the researchers found. While uncertain prizes are highly motivating, further research showed that a vague possibility of winning frequent flyer miles (You could win!) was more effective than a probable contest that listed the odds (You have a 1 in 5 chance of winning.). MacInnis, Reimann and Bechara wrote that these findings imply that individuals can reward themselves for eating less food with nonfood items. “This substitution of rewards assists consumers in staying happy and satisfied,” they said. Individuals could also celebrate other achievements, like a job promotion, with something other than food and still be happy. This research suggests a win-win solution for both consumers and firms.